The great event of a lifetime requires an exceptional jewel! Atelier du Serti, your Bordeaux jeweler, accompanies you for your wedding in this memorable project that is the creation of your wedding ring. Do not hesitate to ask us for advice and for a personal realization. Every year, we produce dozens of original créations of engagement ring and wedding rings. 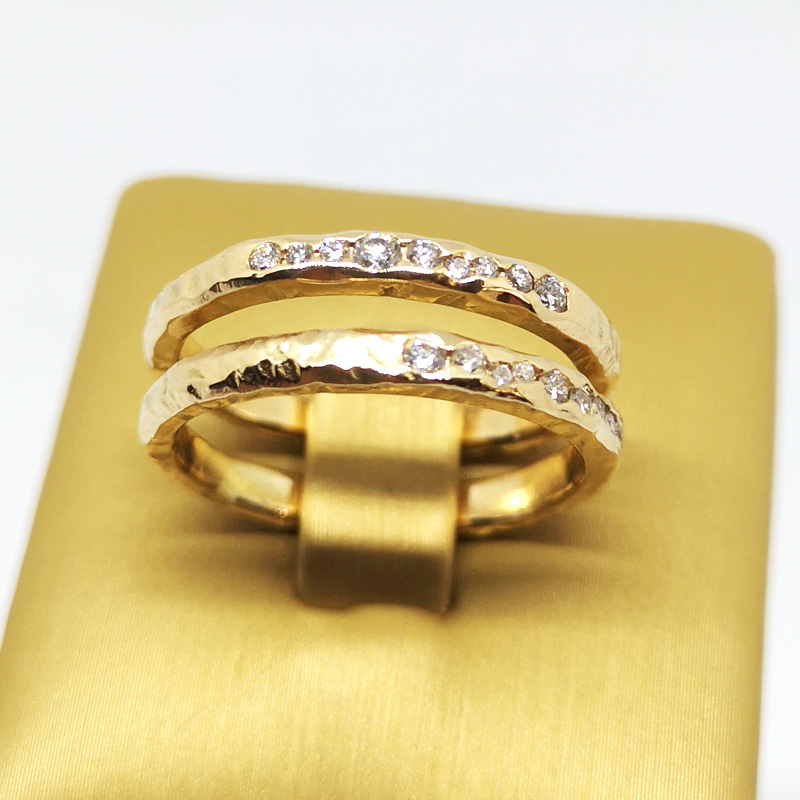 In photo, “Roc” wedding rings, yellow gold hammered effect set with diamonds.